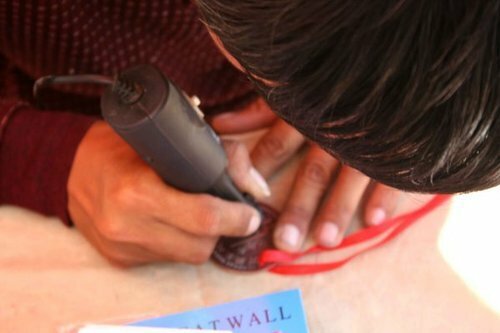 I have been planning to update my blog about The Great Wall of China long time ago as there is nothing aside from photographs in my previous ‘Multiply’ site (a moment of silence for multiply.com). 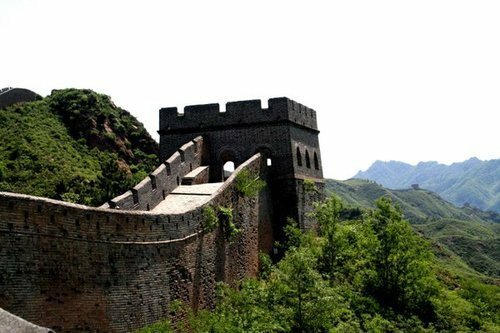 Today, I was browsing Instagram and saw several photos of The Great Wall and it inspired to start a ‘real’ blog about my trip. Beijing is very special to me. It was my very first solo trip. 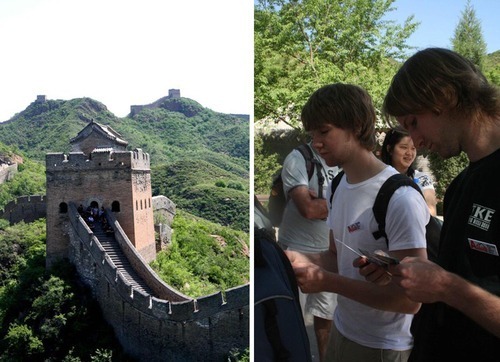 Before this time (2008), I haven’t met any solo backpackers, so hearing stories in our dorm type hostel room from a 20-something yr. old Scottish guy who traveled from one country to another before reaching Beijing really caught my attention. It was something that was unheard of for me. I stayed in Peking International Youth Hostel just beside the Forbidden City (how cool was that). 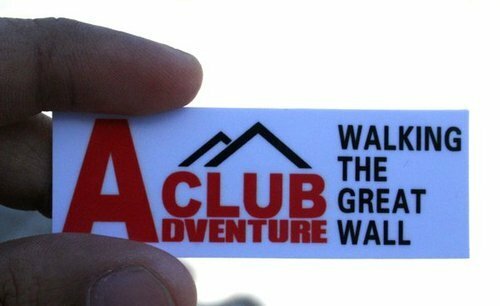 In the hostel, they offered a tour/hike to the Great Wall of China. With this information I planned my itinerary around this, knowing that need to block a full day just for this trip. 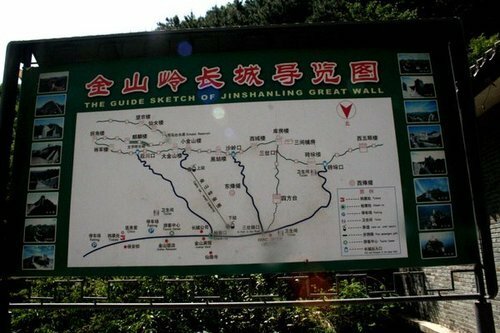 It was called the Great Jinshanling-Simatai Hike. And at the time that I signed in, I kind of didn’t know how great this great hike will be. We gathered in the hostel lobby early in the morning (at around 8am) for our pick-up. Our minivan did a few more stops to nearby hostels to pick-up other hikers. We were around 12 all in all and our guide said that it was a good number. 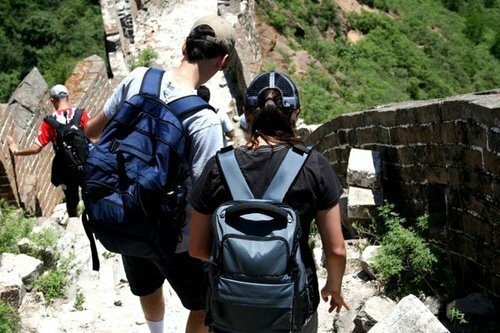 Although we were aware of the challenges ahead, we started walking up the stairs of the Great Wall with ‘GREAT ENTHUSIASM’. Knowing the history of the Great Wall I was overwhelmed the moment I first stepped on it. This has been standing for centuries and became a witness of a number of victories, deaths and defeats. I can just imagine the time when it was being constructed. They said aside from war, people died building the wall that’s supposed to save them. Being one of the remotest sections of the wall, it was really a delight for our group to explore every bits and parts of it. 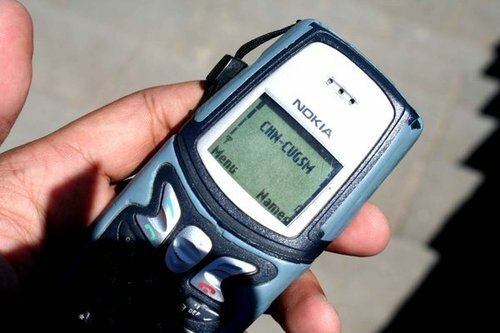 I made this trek pre-selfie craze (and pre GoPro), I can just imagine how it would have been if we already have the gadgets that we are using today. 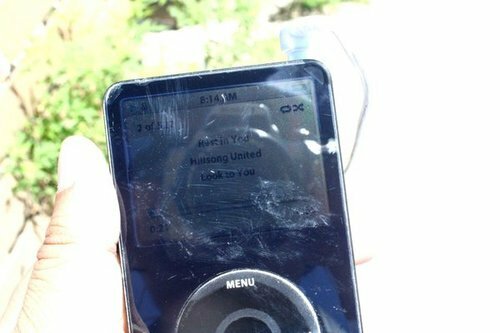 I brought my iPod (it was helpful) which gave a bit of a musical score in every step that I took and also my old Nokia phone which I don’t know the reason why I had it. I love that although we have a guide, we can freely take our time in walking. With the scenic views surrounding us (literally from everywhere), we surely need to take all in and don’t want to miss anything. After a few kilometers, exhaustion kicked in. 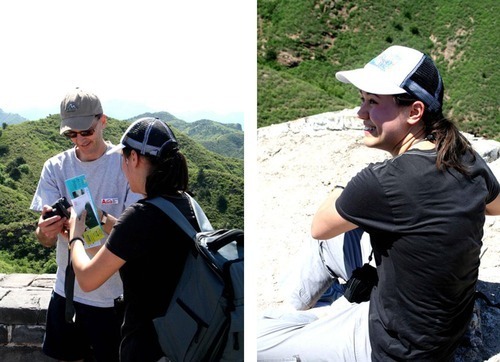 It was summer in China that time and we were hiking at the top of the wall at noon (I think you can already imagine that). But meeting new friends and supporting one another was another aspect that this trip became very memorable. Moving forward, climbing 100 step stairs to reach towers after towers, I started to get a glimpse of how huge the wall is. 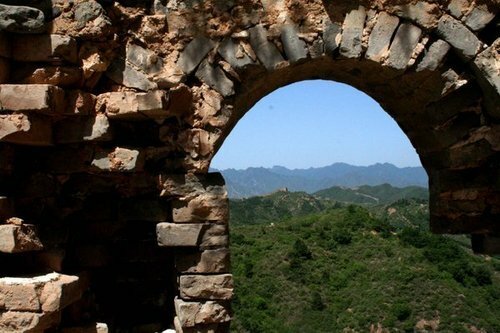 Although debunked, there was a time when everyone thought that you can see the Great Wall of China from the moon. When our guide told us that what we were seeing on one side is Mongolia, it felt so surreal. You can hear a lot of ooooos and wows whenever we would pass a tower and see what is awaiting for us on the next segment of the trip. 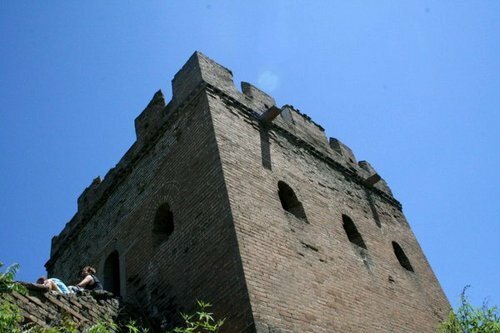 Aside from the Jinshanling, we also climbed the Simatai section of the Great Wall of China. 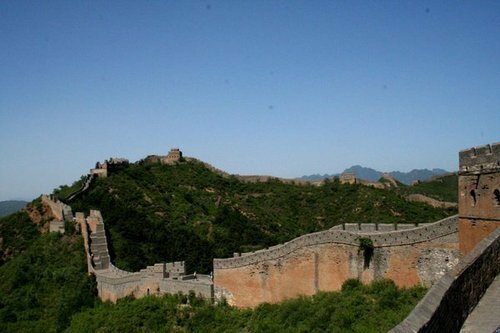 As mentioned at the beginning of the blog, I took this trip last 2008 and I was fortunate to experience the full hike of the Simatai Great Wall. Since 2010, it was announced that the Simatai trail will be closed for restoration and now only the west section of the wall is open for the public. Compared to the Jinshanling, Simatai has narrower and steeper trails. In 1987, it was acknowledged by UNESCO as one the World Heritage Sites, something I was excited about when I heard that (my University thesis was about Heritage Conservation ^^). After climbing around 30 watchtowers on a zigzag rough trail and almost 6 hours of hike, I was not sure if I will be excited to know that we will start our way down the wall. First, it meant that we finished exploring and it’s time to say bye, and second, I think I can’t walk anymore further, even if gravity will help. But to our surprise, if we spent 6 hours hiking up, we will only spend 6 minutes going down———-BY A ZIP LINE! 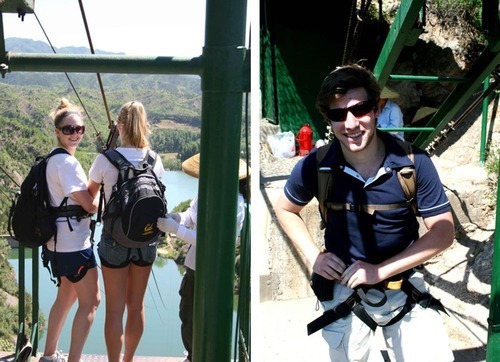 (and it is known as one of the must-try zip lines in the world). It was an awesome trip and for sure I will tell my grandchildren that I was able to climb ‘That Famous Wall’. And to cap the whole trip, I got a medal proving that I have survived the whole hike (I paid for it, but well, I can still use it to brag). Do you want to know how to make this trip happen? Watch this space, I will share information on HOW TO MAKE THIS TRIP HAPPEN soon. Travel Quote: EXPLORE, DREAM, DISCOVER —–REPEAT! Photo of The Day: Adventure Awaits! Pre-gopro? Well, I guess you should go back there now that you have one. Lol.